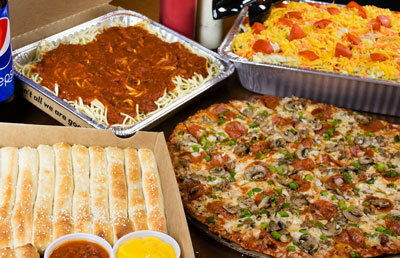 Cater your celebration with Monical’s Pizza, complete with delicious food and all of the accessories including: plates, napkins, flatware, cups, serving tongs and squeeze bottles of dressing. Delivery is included when and where available. At participating locations only. Beverages vary by location. Call your local Monical’s to place an order (24 hour notice required). Tax not included. Prices and items may vary and are subject to change without notice.